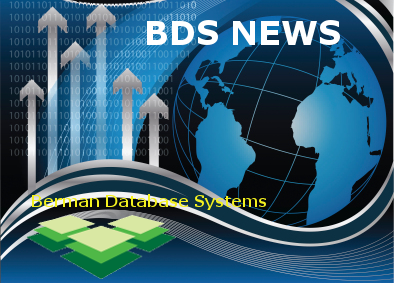 At Berman Database Systems (BDS) we provide unparalleled ability to support your business from systems/network management to application design and development. Let us help you forget about the background and focus on building what matters most (your business). Professional IT strategy and support. As one of the most experienced IT Managed Services Providers, we bring local resources and know-how to every client. Whether your technology challenges are big or small, we have a solution tailored to your business. BDS is a leading local and national Managed Services Provider (MSP) with over 20 years’ experience in providing proactive IT support & infrastructure management, strategic IT consulting services, 24×7 help desk services, and powerful managed cloud services & tools to small and mid-sized organizations — allowing them to concentrate on running their businesses while we manage their networks and provide expert IT strategy and consulting. Our experienced team of certified technical experts and strategic IT consulting staff provide you with a powerful range of supplemental, or ongoing outsourced IT support solutions that will meet all of your technical needs, solve your business IT challenges, and help you grow your business. Is maintaining competitive advantage becoming more difficult than before? There’s a sea change in the way enterprises function and manage their customer relationships — the result of emerging applications on the cloud, the mobility revolution, and the convergence of computing, telecommunications, and broadcast. You have to stay on the cutting edge of complex application solutions, customizing new technology in a way that lets you both “run” and “change” your business. In need of an ongoing outsourced IT support solution that is comprehensive, simple to understand, predictably affordable — and scales with the growth of your business? An BDS Managed Services plan equips your business with high-level IT consulting and management services that can either supplement your existing IT services staff, or become your complete outsourced IT solution. IT budgeting and planning is easy with no hidden costs or fees! BDS Managed Support provides you with the peace of mind knowing that you can concentrate on managing your business while your technology infrastructure and assets are managed by our world-class team of certified network and Cloud consultants. Whether you need an expert at hand during a major IT project or business transition, or you require IT leadership on an ongoing basis our outsourced Virtual Chief Information Officer (vCIO) / Program Manager outsourcing services give you access to experienced, high-level professionals who can bring C-Level leadership to your team without the costs and longer-term commitments. All BDS vCIO’s and Program Managers are (ITIL®) certified, which means that we follow a practical, no-nonsense framework for identifying, planning, delivering, and supporting your IT services. Our approach to providing business technology IT support starts with our unwavering dedication to customer support, and our dedicated customer care team will always strive to ensure that you receive the highest quality IT support services. When you become a BDS customer we take pride and delight in serving you, and we are always available 24 hours a day to answer any of your questions and provide you with rapid assistance and issue resolution. Our commitment to excellence means that we’ll do whatever it takes to ensure that you receive the best IT strategy and technical services available anywhere. BDS provides expert IT support & application development for government agencies and businesses throughout the United States. Join our mailing list to receive the latest product news, information and updates from BDS!